Condo is centrally located to every attraction that the Cape has to Offer, We offer free wifi, cable, a pool, and a concierge service. It has swimming pool in the back yard and the grounds in the back of the complex is a nice place to relax and back in the shade or sun or under the wisteria by the pool area. There is a water view from the kitchen to look on to Bass River in the top five of salt water fishing on the east coast. across the street is Bass river, in the top ten on the east coast as far as salt water fishing. Kayaking, coastal tour, sailing, fishing, and a lot of different water entertainment. 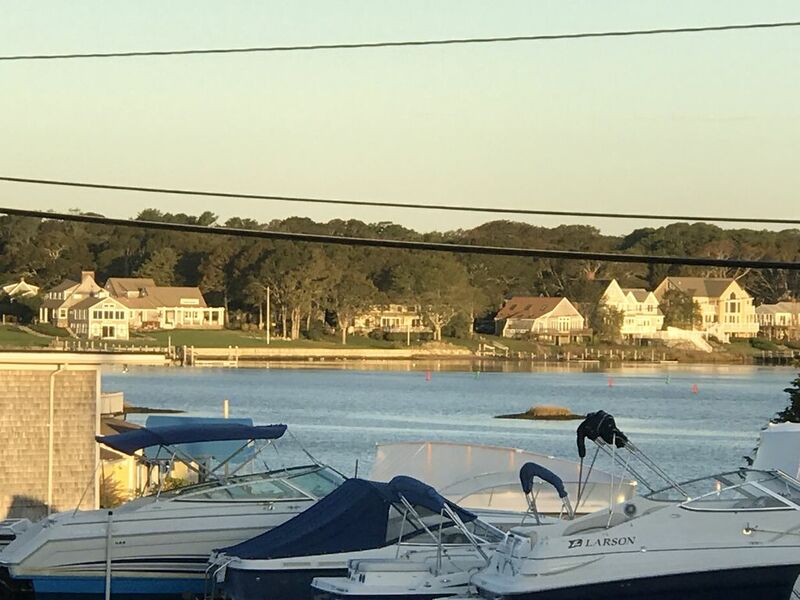 You have a view of Bass river across the st which offers Kayaking, paddle boarding, sailing, boating, ocean cruises, and salt water fishing. This condo come equipped with a full oven and stove for you to use. There is a open lawn and picnic area in the back yard with a pool that is only for the use of the tenant. Across the street there is Kayaking, sailing, boating, paddle boards, coastal tours just across the street. Kayaking, sailing, boating, across the street. up in Yarmouth 15 minutes away there is water parks. There are tennis courts near by. Location was great. Works well for one or two people. The condo was exactly as advertised. Any time spent on The Cape is time made in heaven. Bruce was a perfect tenant, could not ask for a better tenant. He left the place in order and clean. I would recommend him to anyone as a tenant. He is welcome back to rent my condo anytime. Beautiful condominium across from the Bass River! I rented a condominium from Marina Bay Condominiums from August 20-24 2018. It was my first stay here, though I've come to Cape Cod many times and usually rent a cottage. Since I came alone this year, I decided to stay here. The place was clean and so quaint and pretty and provided everything I needed. I only wish there was a bedroom and a bed, but there was a couch bed and another that came down from the wall. I never saw that so was apprehensible. Marina Bay has a beautiful pool if you prefer that to the beach. I don't drive so walked about a mile and a half to West Dennis Beach which was beautiful and relaxing. If you drive, you can experience the great restaurants and activities of West Dennis. I only walk but found my happy place along route 28 and the beach. Christopher was very accommodating and answered all my texts. The rental fee was excellent. And be sure to watch the beautiful sundown at the marina. I had a nice, relaxing time. My girlfriend and I stayed here for a four night vacation and the condo was a perfect size for us. Chris was accommodating and the complex was in a convenient location right on route 28. Would definitely stay here again. Convenient location, comfortable condo, great pool! We were so comfortable in this sweet condo! It was a very convenient location, GREAT pool, clean and Christopher made us feel so welcome! Even fresh picked vase of hydrangeas to welcome us. The balcony was private, great view of the river. We will definitely stay here again next year! Despite what website stated, linens were included also. The studio was very clean and the location is perfect for visiting the whole Cape. Christopher is very kind and available. The view of the marina is however very thin, only standing in the kitchen area. Perfect condo for and great location to travel around the cape! We really enjoyed our stay at the condo. There are great restaurants around the area and a beach about a half a mile away. It was only a 20 minute drive to the ferry that takes you to Martha's Vineyard and around an hour to Provincetown. The apartment was clean and Christopher was very helpful and attentive to all questions! He even sent me a long and helpful list of restaurants, which I knew took him a lot of time to send. We appreciated his willingness to help us since it was our first time to the cape. Can't wait to get back to the cape for another vacation! Also I would highly recommend getting a rental car. We didn't think we needed one the first day and ended up having to rent one for the remainder of the trip! Thanks again Christopher for making our first cape experience great!